This is a Sponsored post written by me on behalf of Vipre. All opinions are 100% mine. I have been using VIPRE Internet Security since November of last year and so far, I am stress-free with regards to virus attack on my PC. Having Vipre Internet Secuirty installed in my PC gives me the peace of mind. Before, I was using other internet security protection software and it just slows down the performance of my PC. I felt so hopeless but with VIPRE Internet Security, my experience is a lot different. I can honestly say that I enjoyed using my PC now because it never slows down and my work gets done smoothly. It is a lot faster than before so; that's the coolest thing ever. VIPRE Internet Security is one of the best antivirus programs available today and you should get one for yourself too. Check it out at vipreantivirus.com and try it in your PC. Have you seen the photo above? I have 3 risks in 11 days at the time. 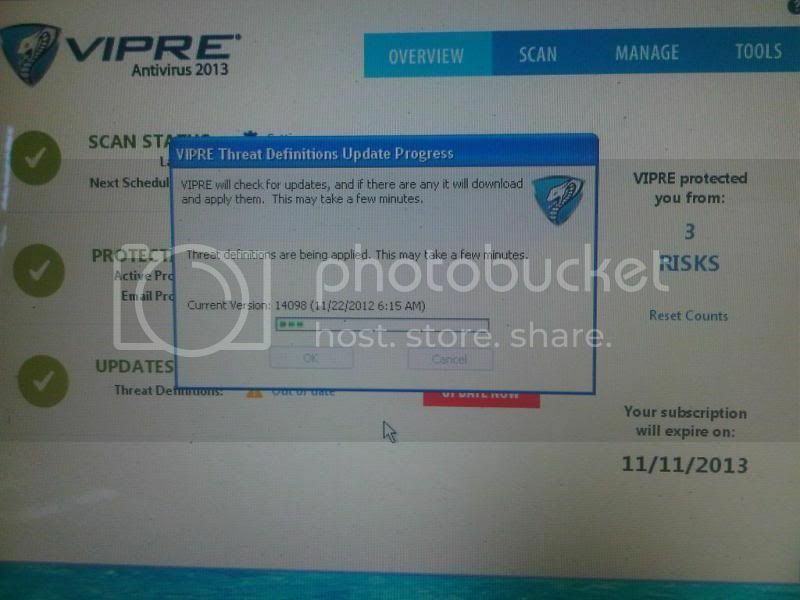 It goes to show that VIPRE Internet Security protects my PC from online threats. We all know that there are hundreds of malware threats and virus attacks online every day. VIPRE Internet Security delivers the result that they promised and that is to provide a powerful protection and high performance. VIPRE Internet Security is very easy to download and I have no problem following the simple instructions. If you are not a computer savvy, do not worry because I promise you that it is super easy. You can download Vipre Internet Security as easy as 1-2-3 and you will have the protection that you want. For more information about this awesome product, visit vipreantivirus.com today. I have heard about this company a couple of times now--really do have to go check it out. I am currently happy with my internet security-but you never know how I will feel tomorrow! I will be purchasing some virus software this week. I am going to check this out for sure. Been reading a lot of good reviews about Vipre. Never tried this before. i've checked this out and i think im signing up.